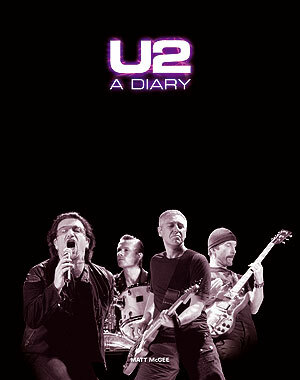 I love finding little nuggets of information that can be added to U2 – A Diary … if and when we ever publish an update. Now, we know they were married on August 21, 1982. (Happy 28th anniversary!) Good Friday happens in March/April, two days before Easter Sunday. I’m going to assume he proposed either four months before the wedding (April 1982) or 16 months before (April 1981). Because really, how many people get engaged and wait more than two years for the wedding?? No way it could be 1980, I say. So I head over to the trusty perpetual calendar that helped me answer so many questions for U2 – A Diary, and I discover that Good Friday in 1981 happened on April 17th. Well, on page 43 of the book, it says that U2 played a concert in Cincinnati, Ohio, on that date. No go. But, Good Friday 1982 was on April 9th. And on page 58, the only thing I have for the entire month of April 1982 is that U2 shot the video for “A Celebration” in Dublin. 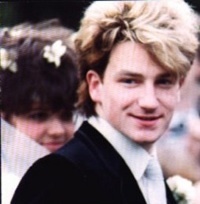 So, if and when we ever publish an update, you’ll find that I’ve listed April 9, 1982, as the day Bono and Ali were engaged to be married.